Below you can view all the homes for sale in the Hickory Springs subdivision located in Martinsville Indiana. Listings in Hickory Springs are updated daily from data we receive from the Indianapolis multiple listing service. To learn more about any of these homes or to receive custom notifications when a new property is listed for sale in Hickory Springs, give us a call at 317-723-5615. Attached storage on rear of 3C garage. Home warranty. MLS#21632302. F.C. Tucker Company. 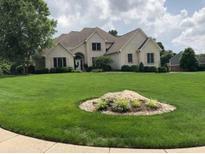 Private, beautiful Custom home, 4 bedroom 4.5 bath, finished walkout basement, master suite with his and her closets, attached bonus room. Screened porch perfect for entertaining! MLS#21622173. 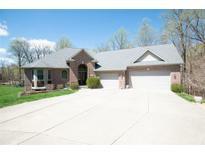 Mentor Listing Realty Inc.
Easy access to I-70 minutes, 20 min to Indy airport and 30 min downtown. MLS#21605749. Front Porch Real Estate, LLC.